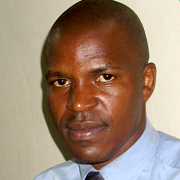 Richard is senior staff writer for Uganda’s Weekly Observer and an award-winning journalist. He has been nominated for the 2007 CNN Multichoice African Journalist of the Year Award for a series on Uganda’s efforts to achieve the Millennium Development Goals. He is also winner of the 2006 United Nations Foundation Award for Development and Humanitarian Coverage and the UNFPA/Population Secretariat Award for Population and Development reporting. "My passion is journalism that addresses the needs and concerns of ordinary - otherwise voiceless – people. I believe that anything worth doing should be done well; and that whatever has been done can be done even better with a little more effort. I hope to use my coverage of the G8 Summit to explore how much the international development community appreciates the plight of the ordinary Ugandan or Malawian beyond the statements and reports of public officials." > Will we ever see a Merkel Plan for Africa?